Invisalign is the leader in clear aligner orthodontics. These removable trays straighten your teeth without the need for conventional metal braces. Instead, the aligners nudge your smile into the desired position over a period of time. When you wear Invisalign, the treatment process is relatively straightforward. Just wear your aligners for a minimum of 22 hours per day and change them out every two weeks as prescribed. You’ll have enough time to remove them for meals and to brush or floss your teeth. Most of our patients complete their Invisalign treatment in about a year. We’ll be able to give you an estimated duration at the time of your initial evaluation (every person’s needs are unique). If you’re ready to move forward with getting Invisalign, we’ll take a set of pictures, X-rays and impressions to send to Invisalign labs. Your aligners will be ready to pick up a couple of weeks later. Every 6-8 weeks, we’ll have you stop by to evaluate your progress and send the next several sets of your clear orthodontic trays home with you. Yes. Teens who are responsible enough to keep up with their trays and wear them as directed make great candidates for treatment. Patients this age can choose to wear Invisalign Teen, a specially designed series made for younger patients. Both Invisalign Teen and traditional Invisalign trays have built-in wear indicators that make it easier to track progress. When the trays have been worn the full two weeks, the blue dot on the inside fades, signalling that it’s time to change them out with the next set. As with any other type of orthodontic treatment, our Invisalign patients will need to have some kind of a retainer or retention device after they complete their therapy. This measure will prevent their teeth from relapsing into the previous position, protecting their time and monetary investments. The aligners used in Invisalign are made of clear BPA-free plastic. When worn over your teeth, they’re practically invisible. To see them, you would need to look closely. Since food or drinks can cause stains under your trays, you’ll need to remove them for meals or snacks. Clean your teeth before putting your aligners back in. To prevent discolouration and buildup, clean Invisalign with a soft toothbrush, lukewarm tap water and a nonabrasive toothpaste. Schedule a consultation for yourself or your teen to find out if Invisalign can give you the straighter smile you’re looking for. How much does Invisalign cost and what is the process involved? Complimentary information session: Come and meet our amazing Invisalign dentist at 7 Pearls Dental and find out if Invisalign is suitable for you. Ask as many questions as you want and gather as much information as possible, and if you’re ready, we can start the process by taking some photos (after a clean if required), and some impressions that will be sent to Invisalign to generate a 3D simulation. Review your 3D simulation. Here’s the exciting part where you can watch your teeth move into their new position. From here an accurate estimation of treatment time can be made as well as cost and what treatment option from those listed below would be most suitable for you. Approximately 2 to 3 weeks later, you are all set to pick up your aligners. From this visit, you’re on your journey to straighter teeth! We’ll review you every 6-8 weeks to ensure everything is running smoothly. At the end of the treatment, we will place retainers on your teeth which helps maintain your new straight smile. Invisalign i7 addresses minor orthodontic issues with up to 7 aligners which takes approximately 3 months. i7 focuses on the front teeth only and can only correct MINOR crowding, spacing and orthodontic relapse. Invisalign lite is an express version and can treat mild orthodontic issues of all teeth with up to 14 aligners in roughly 6 months. This includes MILD crowding, spacing and orthodontic relapse. Due to its nature it is not suitable for all cases and works best when there are no major movements required. Invisalign Moderate is the most common treatment option we use. It can correct a wide range of orthodontic issues including moderate crowding, misaligned teeth and bite issues. Our Invisalign Moderate allows treatment that can extend up to 40 aligners in approximately 18 months. Invisalign Moderate is suitable for most cases except when extractions are required or extremely difficult movements. Invisalign Comprehensive, is mainly used for complicated cases that may extend over 40 aligners or longer than 18 months. This includes difficult and large movements and situations where extractions may be required. Invisalign can now be used for teens! Similar to a full case, Invisalign Teen allows most cases to be treated up to 40 aligners in approximately 18 months. As we know, accidents happen, and aligners can be lost, so Invisalign teen allows up to 4 replacement aligners at no extra cost. A free no obligation one-on-one information session is available to learn more about the Invisalign procedure. Prices for Invisalign may be subject to change without notice. A dental examination is required prior to commencing treatment where one of our dentists will conduct an initial orthodontic examination, explain your treatment options, perform diagnostic work. You may also be recommended to have a hygiene appointment. We are a general dental practice and can arrange a referral to a specialist orthodontist should you wish or should your current situation be best managed by one. 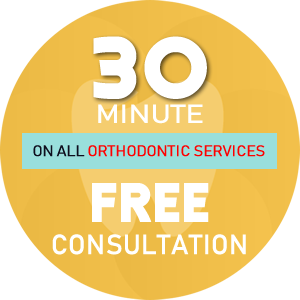 Call us now to schedule your complimentary Invisalign information consultation.